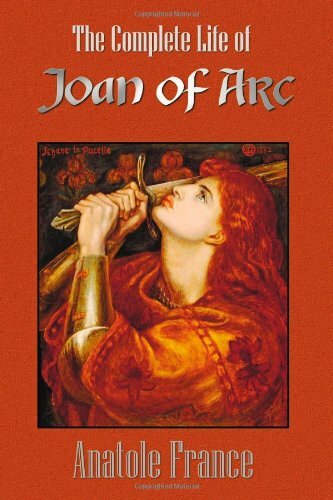 Anatole France, the Nobel-prize winning French author, turns to a historical subject for this two-volume Life of Joan of Arc. Thoroughly researched with a wealth of references, he sought to bring a rationalist viewpoint to the legendary French heroine and to examine and, where necessary, overturn the superstitious additions to her history. Written in 1837 by a British historian and essayist who was a leading figure in the Victorian era. The French Revolution was written in dramatic language bringing the history of the revolution alive in a way that few historians have ever done. These essays characterize the Great Revolution as the dawn of the modern age, the grand narrative of modernity. The scope of issues is extremely broad, ranging from the analyzes of the class character of 1789 to the Cult of the Supreme Being. The object of these pages is not to recount once more the history of the Revolution. Their object is rather to lay, if that be possible, an explanation of it before the English reader; so that he may understand both what it was and how it proceeded.